This is my very first e-pack box break and review! I've opened up some e-packs before, but this is the first all-digital (for the most part) product that I have gotten in 'box' form. I'm excited to give this product a shot and see how the box opening experience is with a mouse! It has to be said that the base cards were obviously only viewed on my computer screen and not held in my hands, so much of the card experience was different than what I was used to. I was really only able to see the design from in front of the screen - similar to seeing a pre-release advertisement on a website or something. There's just something that is missing with this all-digital way of doing things, but though there are things that I may not like about digital cards, there are nice things about them as well. 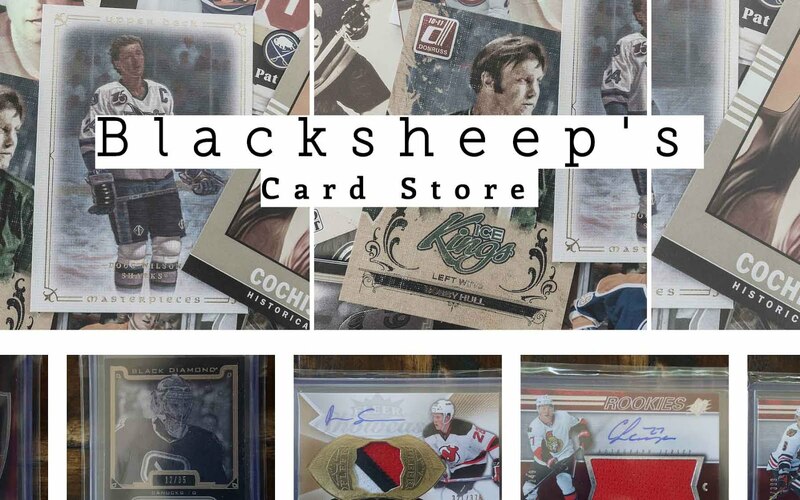 One thing that was cool was that the cards were all sorted for me on Upper Deck's site - which also didn't take up any room in my house (which is getting a bit too full of hockey cards). Trading them is also easier to do as all transactions are doing electronically, saving money on postage. In terms of the actual look of the cards, they have a lower-end type design where the border is a pretty significant part of the card. The design reminds me a lot of how Score cards were done. Photography is average, par for the course for packs that are just $.99. The back of the base card is also reminiscent of lower-end designs. There is no photo on the back. It's all graphics and stats. The nice thing is that the back design is well-paired with the front so there is a very nice unified look about the card. There's nothing too crazy here, just your basic design that works but won't blow you away. Rookie cards are available in Compendium and come towards the end of the set. 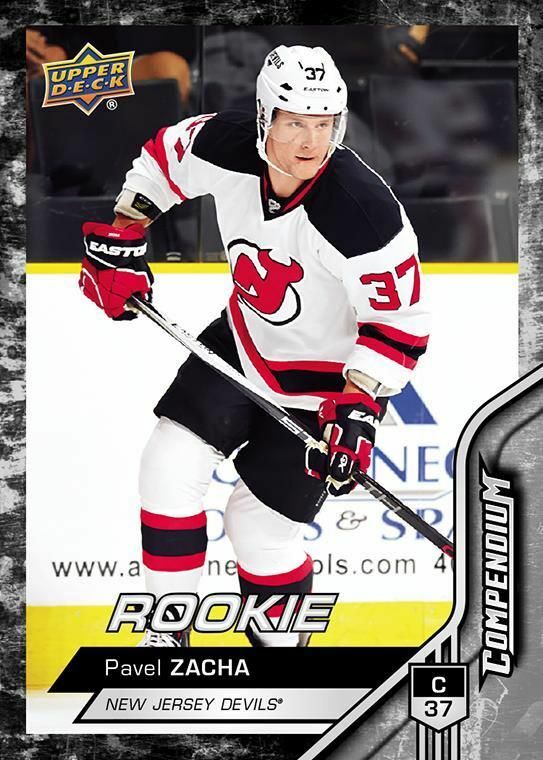 There's no change in design of these cards save for the word 'Rookie' above the player's name. I suppose to keep the price of Compendium down, elements like unique looking rookie cards had to be sacrificed. Like the backs of the base cards, these rookie cards aren't bad looking, they are just a bit boring in terms of their design. A box of Compendium will give collectors 24 virtual packs to open with each pack having 8 cards. Inserts come about one per twelve packs and there are parallel cards sprinkled within. 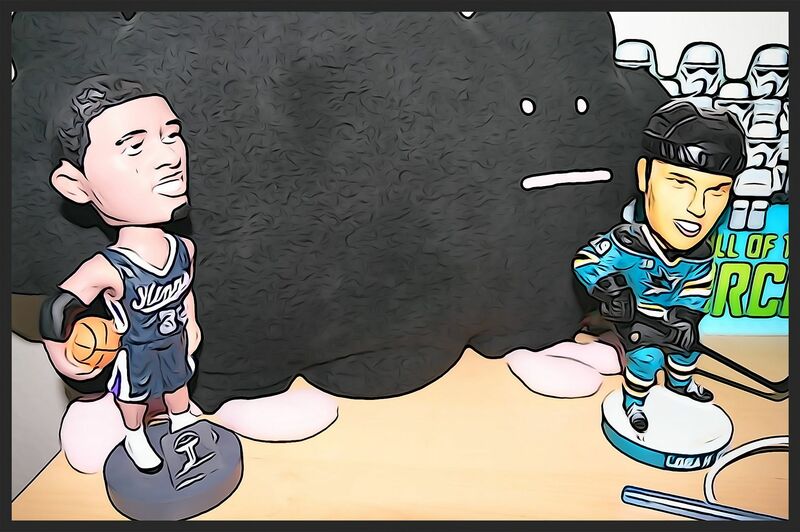 Unfortunately, I don't think jersey memorabilia hits like patches are in this product, but autographs can be obtained by completing different online collecting challenges put on by Upper Deck. As I mentioned, Compendium has parallel cards within the set. The parallels that I got had a nice pink border to them. I like the look of these cards A LOT more than the standard base. The pink actually gives these cards a pop that the original steel/grey look doesn't. I wouldn't mind adding a bunch of these to my digital collection. 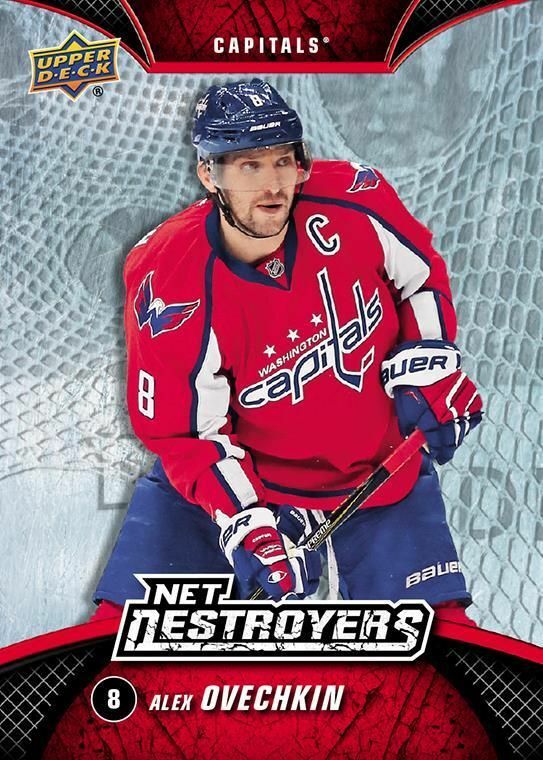 Net Destroyer inserts showcase offensively gifted players like Alex Ovechkin. When you pull an insert card from a pack a red border flashed behind it signifying that the card is special. The design of these cards remind me of the non-foil inserts found in Upper Deck Series One and Two. These cards are a nice change of pace when they are pulled as they break up the monotony of the regular base cards. CarbonFX inserts have a sleek look to them. 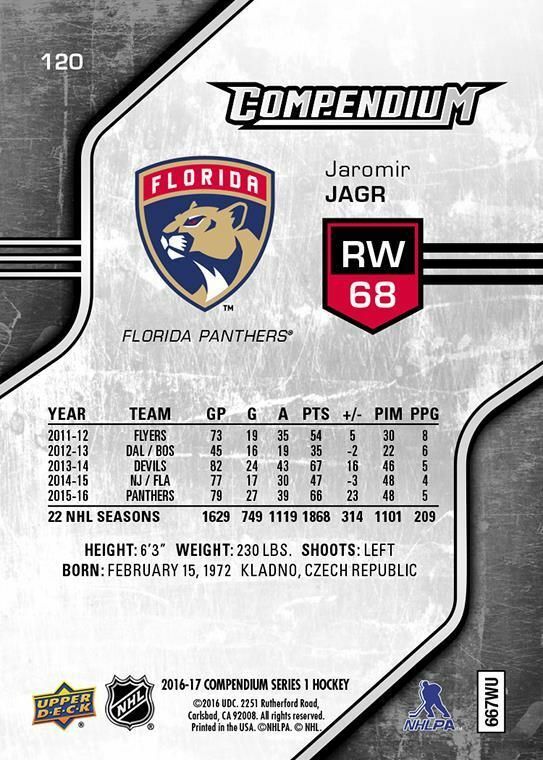 I would imagine that a physical version of the card would have a shiny foil to the surface to show off the carbon theme of the set name. The yellow/green color scheme on the carbon background gives this insert an exciting look that I really enjoy. Pulling a Sidney Crosby was pretty awesome as well. These are the two basic inserts that you will find along with the parallel cards in Compendium. The bonus content are things that collectors will have to earn through different means. I'll be interested to see how many collectors out there try to fulfill achievements to get other unique cards form this set. For an all-digital set, the price of $.99 per pack is right. I would find it difficult to pay more than a dollar for something that only exists in the virtual world. 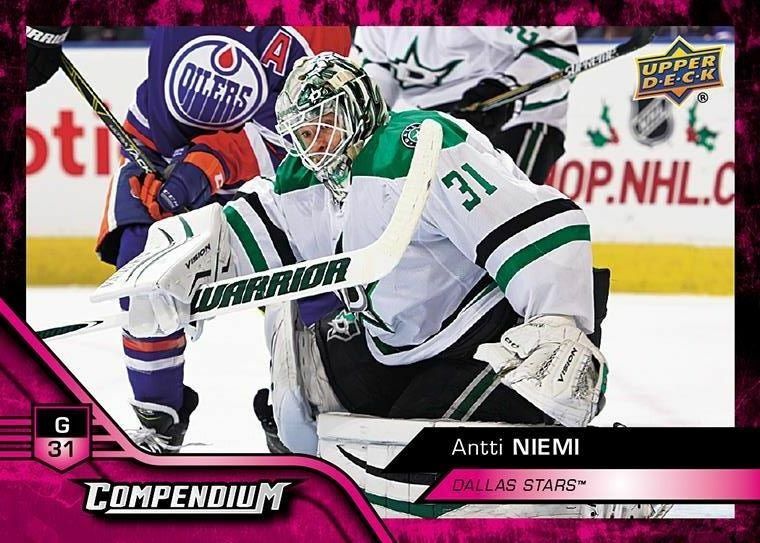 That being said, it's cool that Upper Deck makes the special cards from Compendium available in physical form. Opening up a box of this wasn't especially exciting. I ended up getting tired of clicking the button to open packs over and over, so I appreciated the option to just get all the cards at once. If you haven't tried e-packs before and you're a high-end collector. I'd stay away from Compendium. It's definitely got a low-end feel to it. The enjoyment of this set comes in the collection of every card and trying to put together sets to create unique and rare cards. If that's your thing, this set is definitely worth a look. 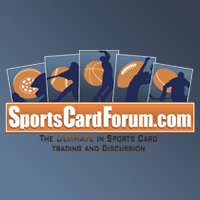 There is a lot of newness to the digital card format. 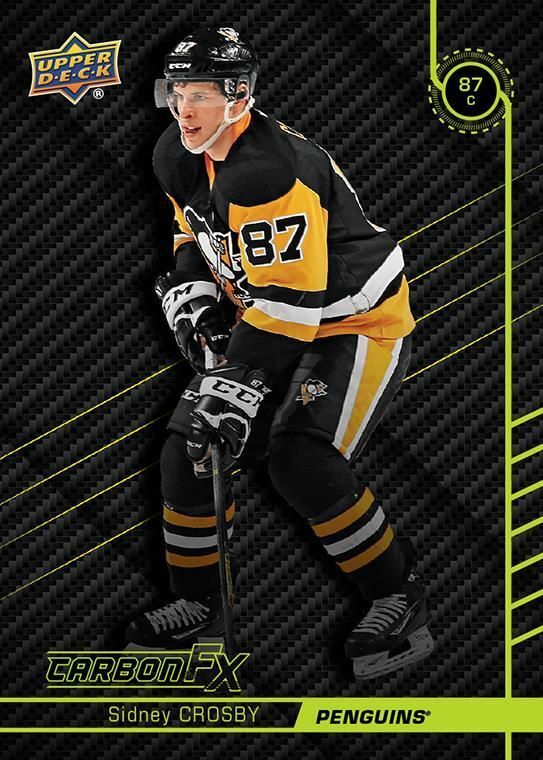 It can be off-putting and unusual for most, but I do see some benefits from it and Upper Deck is thinking outside the box in terms of offering so cool cards that can be had by collecting digital cards. It's a brave new world. It may be time to give these things a shot. With Compendium, at least the price is low enough that it won't be too big of a burden on the 'ol wallet. Im not really a big fan of compendium. The cards look sort of like they didnt put much time into the design. The carbon fx are pretty cool but I dont think I will be buying any of these packs. $25 for a box?? Upper Deck totally missed its target market. The novelty quickly wears off, and why pay $25 for a box of digital media when you can pay a little more to get an actual box of cards? Terrible marketing decision. Terrible execution. 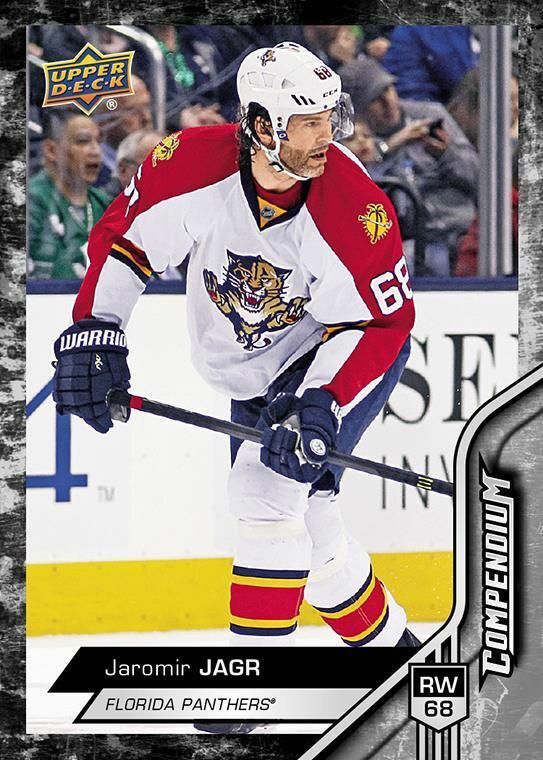 Upper Deck is making blunder and blunder without Panini. Watching you break this box was like watching paint dry. All the excitement and fun of watching you open a box of cardboard was completely absent. Good review though! Despite what the negative comments in the thread stated, this turned out to be a pretty big thing for ePack. Compendium 2 fell below the radar and I think it was due to poor timing on the release. Compendium series 1 and 3 were hot though. I truly enjoyed it and hope it's back this season.